Whenever employees hear the phrase “company meeting”, the usual words that come to mind are boring, repetitive, and uninteresting. With these words in mind, most employees don’t participate and leave the floor to the facilitator. One of the biggest blunders ever known in facilitating a business meeting is having no agenda. Without solid and detailed meeting goals, the meeting will become an aimless social gathering bearing no results. It would be best if the facilitator would inform the attendees the topic of discussion so they can come prepared. This can also prevent counterproductive discussions as the facilitator can signal if the discussion is getting derailed. 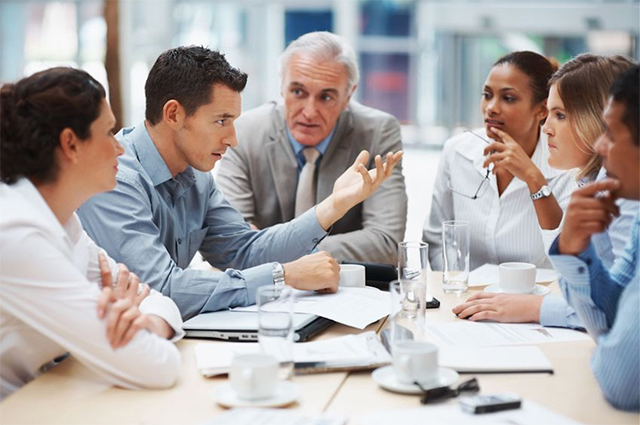 It has been theorized that long meetings can lead to counterproductive discussions. This would mean that the meeting organizer is not in control of the discussion. At the end of the meeting, the agenda became just a distant memory. Meeting experts say that setting a cap time for meetings and discussions would be more productive as opposed to letting the meeting go on forever to finish. The media organization TED is known for its short but impactful talks. As much as possible, they cap the time to 18 minutes. TED curator Chris Anderson said that 18 minutes is a long time to be serious but also short enough to hold the attendees’ attention. Another glaring mistake when setting up a meeting is letting one person monopolize the floor. Meeting organizers need to encourage attendees to participate and share their ideas so they can formulate the best solution to the problem at hand. Be sure to give room and allot time for Q&As and raising other concerns. Seeing the same old conference you are using as a meeting place can make meetings feel like a routine. You can spice thing up a bit and use another location. A new environment can boost the surge of creativity amongst attendees and also serve as a breather from the usual meeting rooms you have in your office. Placing the responsibility of organizing a meeting on to one person at all times will make others complacent. Keep them on their toes by rotating this task to other team members. Not only does this practice teach them the proper way of facilitating a meeting, it would also instill confidence amongst team members.